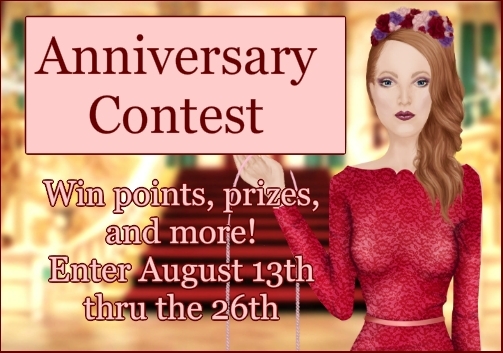 Re: Anniversary Contest: Enter Now! On the Contest page it says, Design an outfit that represents Designers Society. Yup, the image above will take you to the contest page if you click it, and you just create an outfit to represent DS like Shelli said :) Not really any specifics just make sure its a full model outfit. Only 2 days left to submit entries everyone! Update: Here is a list of the official prizes. -A remastered HD design of this original fashion by myself. Congratulations, Tammy. I liked how you worked the logo into your design.